Are Instagram ads the now best bang for your buck? Instagram ads are the newest PPC channel, and, as such, are crazy affordable. That’s good news for advertisers. Michael Perry, CEO of Kit, joins us again. Last time he told us the secrets of Facebook Ads (and boy was he right.) Now he's back to tell us how he cracked the code on Instagram. 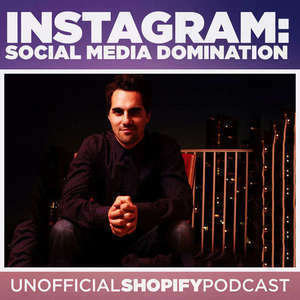 In this episode, we break down proven strategies that will help you take over all aspects of Instagram. "In my opinion, Instagram ads are the biggest bang for the buck right now. Impression costs have been much cheaper than what we’ve seen on Facebook or Twitter. The click-through rate (CTR) isn’t as consistently high as what we’ve seen on Facebook, but the impression pricing has been so much cheaper that the percentage change in CTR is irrelevant, because you are getting much more reach for your dollar."